In today’s market, a successful inbound marketing strategy means the difference between being swallowed by the competition or having the ability to grow and expand your company. 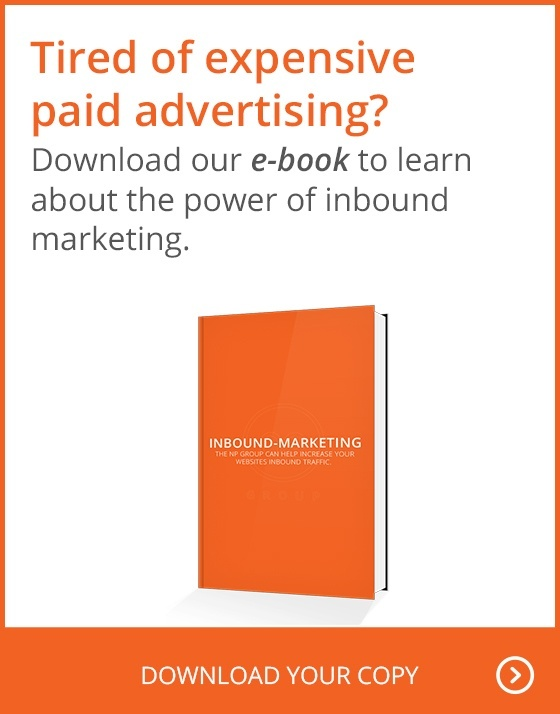 This makes choosing the right inbound marketing agency a vital decision. Before you take the plunge and trust the fate of your company to an outside agency, you need to know what to be looking for in an ideal partner. Keep reading for some great tips that will help you choose the perfect inbound marketing agency for your growing business. Have they effectively marketed their own website? Here is a quick and simple test to see if an inbound marketing agency is worth your time: All you have to do play around on your favorite search engine and see how well their website is performing. Are they able to market their own website? Have they been able to achieve first page rankings? Does their website look professional and does it implement a variety of marketing strategies? You can learn a lot about a company just at a glance. If they are struggling to promote their own business, what are the chances that they will be able to help you be successful? Do they offer a range of services? Any agency worth its metal will provide a wide range of inbound marketing services. You want to see that they will implement a comprehensive strategy that covers all the bases, addresses all marketing avenues, and doesn’t leave you with a lopsided approach to promoting your business. Do they talk at you, or do they ask questions? There is no one-size-fits-all approach to inbound marketing. Every business has different goals and is trying to reach a different audience. If you encounter an agency that is trying too hard to sell you on their services and making a lot of promises without getting to know your business, it’s time to move on. The more questions they ask and the more effort they put into getting to know the specific goals of your company, the more confident you can feel that they have your best interest at heart. What does their planning process involve? Before you launch a full-scale marketing strategy, there is going to be some research and planning involved. Your agency should discuss how to build a strong foundation and develop a comprehensive plan before jumping headfirst into spending your marketing budget. Don't hesitate to ask exactly how they decided where to focus their energy, how long the planning process will take and what kind of information you will need to provide. As you speak with potential agencies, listen to see if they mention the idea of making adjustments down the road. The last thing you want is for them to implement a strategy and not be willing to make improvements. Not every marketing tool they try is going to be a resounding success. They need to be able to gather data and use that information to make better decisions. A willingness to make changes is also important considering the fact that markets are constantly changing. You won’t be able to stay relevant if you aren't responding to new challenges and keeping up with your competition. Inbound marketing relies much more on quality than quantity. If you find that an agency considers their job done if they send out a certain number of newsletters each month or publish a blog post every other week, then you will be disappointed with the results. A good inbound marketing agency will have a variety of metrics in place to track performance and their main priority should be the success of your business not simply completing a certain number of tasks. Do they provide examples of previous work? Take a look at their company portfolio and examine their previous work. Do they have a track record of success? Are they willing to provide you with additional samples? You might even want to contact some of their previous clients and learn more about what their experience was like. Choosing the right inbound marketing agency may seem like a daunting task. There are a lot of options out there, but if you ask the right questions and have a list of criteria to be on the lookout for, you can feel confident about choosing the right agency for your business. Remember that any agency you contact is vying for YOUR business. You have the power in this situation, so don’t be afraid to ask questions, review samples and take your time make a final decision.